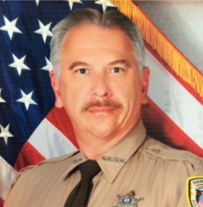 Deputy Sheriff Robert Bowlin succumbed to injuries sustained on November 11th, 2006, when he was struck by a vehicle on I-81. He was investigating another vehicle crash when an oncoming pickup truck drove off the roadway and struck him. He was never able to fully recover from his injuries and he died as a direct result of complications on October 31st, 2016. 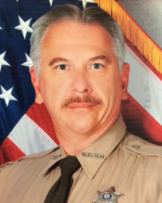 Deputy Bowlin had served with the Sullivan County Sheriff's Office for 19 years. He is survived by his wife, two sons, and two grandchildren. Depity Bowlin was truly a great man. I will always remember him for the late night conversations at the fire department when he would stop by while on patrol and run radar.